Florida State quarterback Jameis Winston has requested a delay in the student code of conduct hearing scheduled for the week of Nov. 17, an attorney said Friday. TALLAHASSEE, Fla. — Florida State quarterback Jameis Winston has requested a delay in the student code of conduct hearing scheduled for the week of Nov. 17, an attorney said Friday. John Clune, a lawyer for the woman who says Winston sexually assaulted her, confirmed the request was made to the university but did not know how long of a delay Winston is seeking. He said Florida State has not ruled on the Winston’s request. Winston is facing a hearing to determine whether he violated four sections of the code of conduct — two for sexual misconduct and two for endangerment. The former female student said he assaulted her in December 2012. Though the time frame has been set, both sides can request postponements of the scheduled date for reasons that would have to be individually reviewed. “I think everybody expected Winston to try to delay,” Clune said. “It’s not at all surprising. Winston family adviser David Cornwell did not immediately return phone messages. Cornwell made the formal request on Winston’s behalf in a letter sent to the university. The Tampa Bay Times first reported Winston’s request. Winston could face sanctions that range from a written or verbal reprimand, to probation that could include being removed from the football team, to expulsion from the university if he found in violation of the student code of conduct. Former Florida Supreme Court Justice Major Harding will preside over the hearing after both sides were required to strike one of three former justices selected by the university. Rules specify a formal decision letter must be sent to Winston within 10 class days after the hearing ends. That time limit could be extended “if additional consideration of evidence and deliberation is required,” FSU spokeswoman Browning Brooks previously explained to the AP in an email. 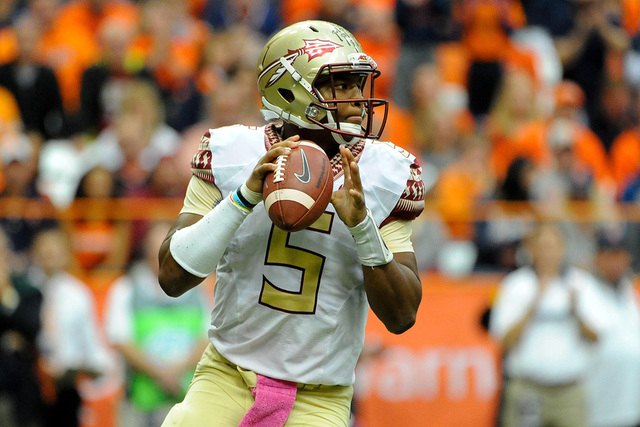 Winston is expected to play Saturday when the second-ranked Seminoles host Virginia. Florida State plays at Miami on Nov. 15 and against Boston College on Nov. 22.